He was self employed as a watchmaker and musician and had been owner and operator of Valley View Park, Hellam, York County in the 1960s. He ran the park after the passing of Luther "Shorty" Fincher. He was a great fiddle player. 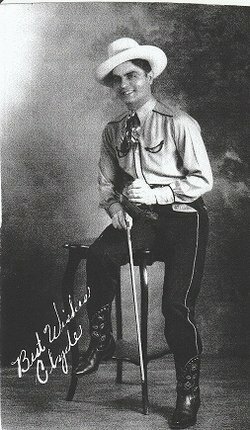 He played with the Shorty and Sallie Fincher group called The Prairie Pals, and the North Carolina Ridge Runners, Wheeling, West Virginia, Jamboree and was part of the Blue Grass Gospel Train which was recorded in Nashville, Tenn.
Also he had been a music instructor for Wilcox School of Music Service to the Blind. He was a member of the American Legion, Red Lion Post, the Veterans of Foreign Wars Red Lion Post and the Musicians Union. During World War II, he served in the U.S. 8th Army Air Corps as a radio operator and marksman. He received the World War II Victory Medal. He attended Cape Horn Road Church. He was survived by a daughter Nancy Y. Fogle Larkin of Red Lion; four grandchildren; four great-grandchildren; two sisters, Evelyn Stillons of Lore City, Ohio, and Mary Martha Polasak of Cambridge, Ohio; and a brother, Miley Fogle of Sarasota, Florida. Find A Grave, database and images (https://www.findagrave.com : accessed ), memorial page for Clyde R. “The Ole Professor” Fogle (27 Sep 1910–31 Jan 1992), Find A Grave Memorial no. 125498629, citing Rest Haven Cemetery, Hanover, York County, Pennsylvania, USA ; Maintained by Audrey LeRew (contributor 46986765) . your computer for Clyde R. “The Ole Professor” Fogle memorial. I thought you might like to see a memorial for Clyde R. “The Ole Professor” Fogle I found on Findagrave.com. This flower has been reported and will not be visible while under review.